The word cabana typically brings to mind tropical resorts and swanky poolside lounges where fruity drinks are brought out by waiters. 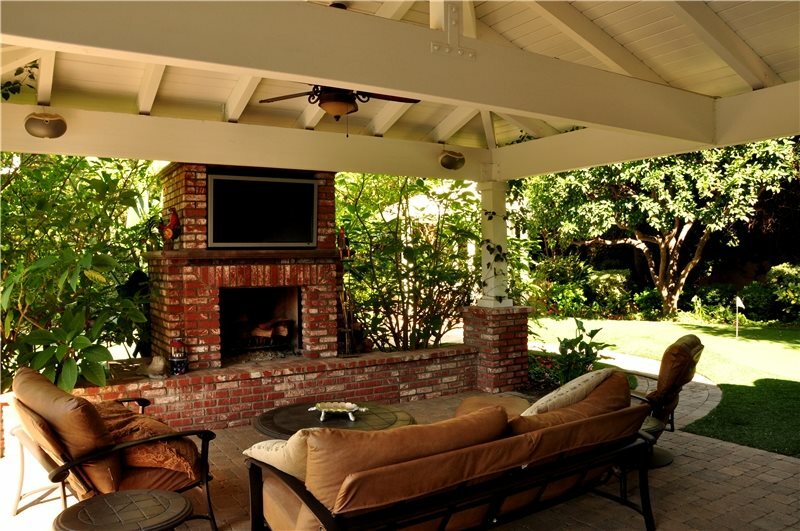 However, many homeowners are opting to have their very own cabanas built in their backyards. 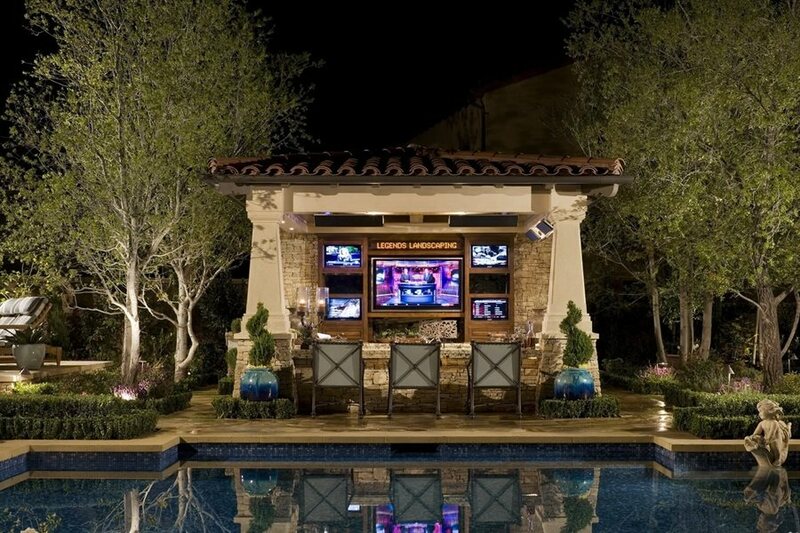 While you may have to make the drinks yourself, these cabanas are the pinnacle of outdoor entertaining. 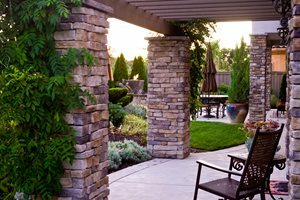 Check out the following examples to get ideas for your own backyard cabana. This backyard cabana has all the comforts of home. 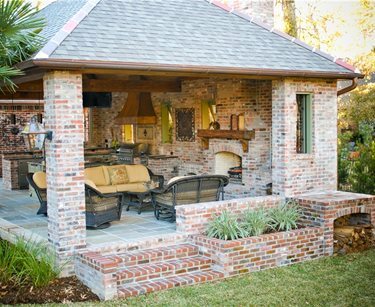 Open on three sides, the cabana features a fully loaded outdoor kitchen and a lounge area with a fireplace. Reclaimed wood, stone and brick help give it its rustic character. 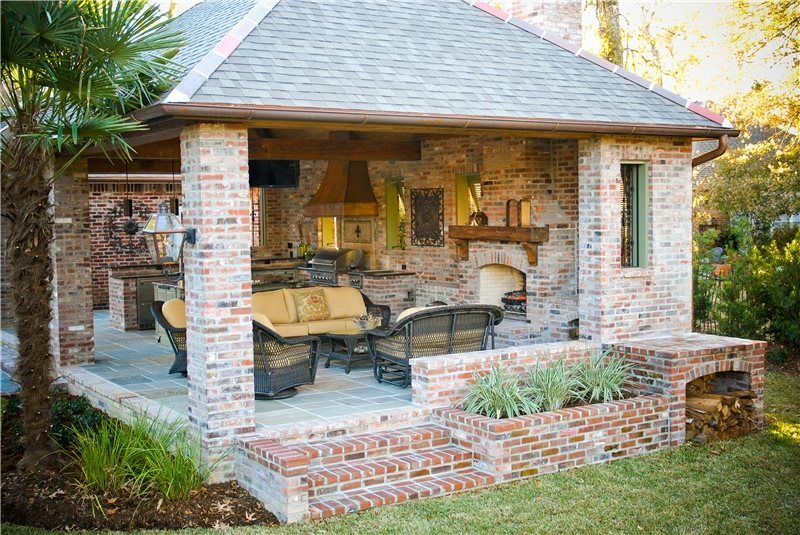 When designing a cabana for your backyard, it’s important to consider the style of existing architecture. 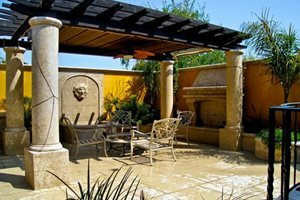 This cabana matches the Southwestern architecture of the home it complements. 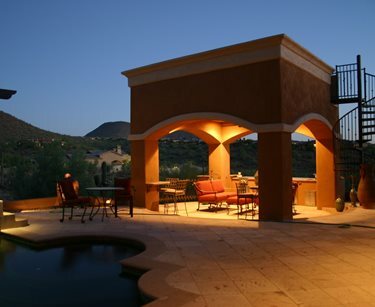 It features an outdoor kitchen and a spiral staircase that leads to an observation deck. 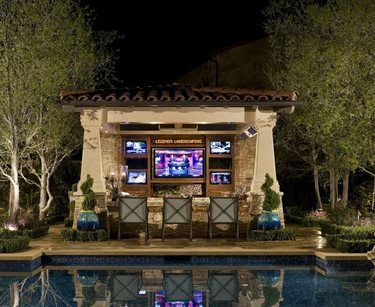 If you’re a sports fan, this is the cabana for you. 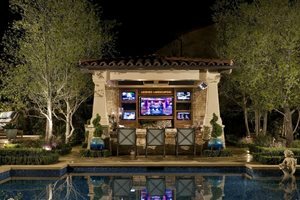 Equipped with five flat screen televisions and electronic ticker tape, the owners of this home never miss a play. The cabana also features a bathroom at the rear, a grill, granite counters, overhead heaters and more. In recent years, we’ve all seen the devastation of powerful hurricanes. 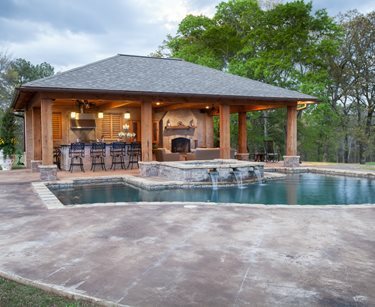 These Louisiana homeowners didn’t want to leave anything to chance and had their cabana built to withstand 150 mph winds. The cabana has a gourmet kitchen, wood-burning fireplace and impressive audio-visual equipment. Positioning a cabana to take advantage of a view is always a good idea. 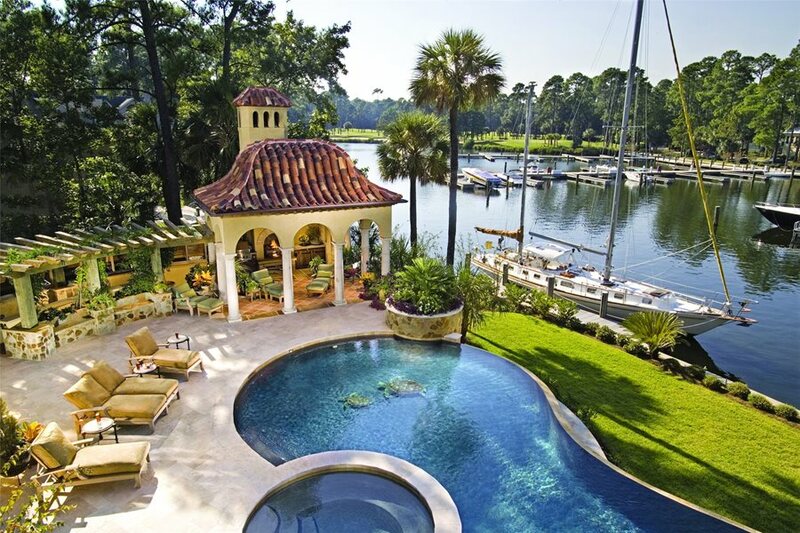 This example looks over a harbor on Hilton Head Island. 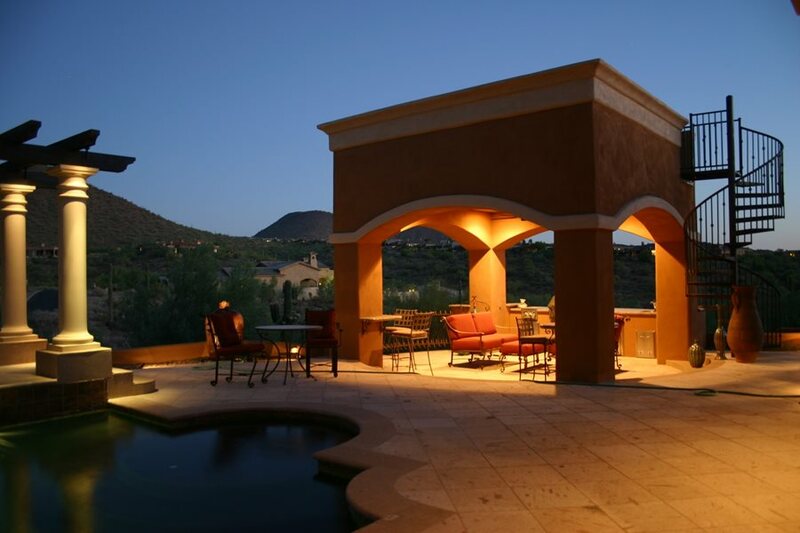 The cabana, which houses a kitchen and fireplace, features Mediterranean details such as arches and a red tile roof. 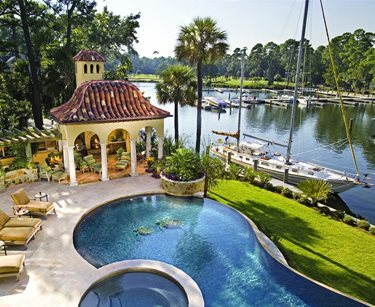 While the kids are playing in the water, the adults can relax nearby beneath the shade of this cabana. 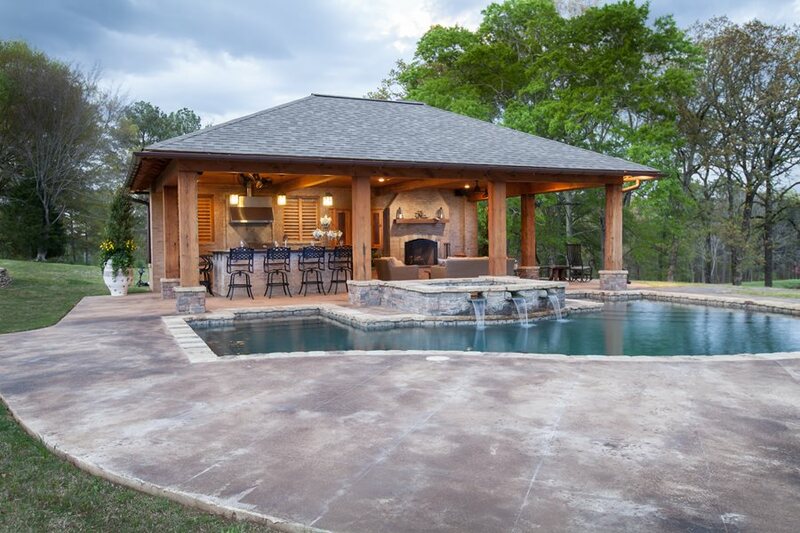 Located adjacent to the pool it makes it easy to keep an eye on the kids while enjoying the fireplace or television. Deep-seating furniture and a ceiling fan help make this cabana even more comfortable. 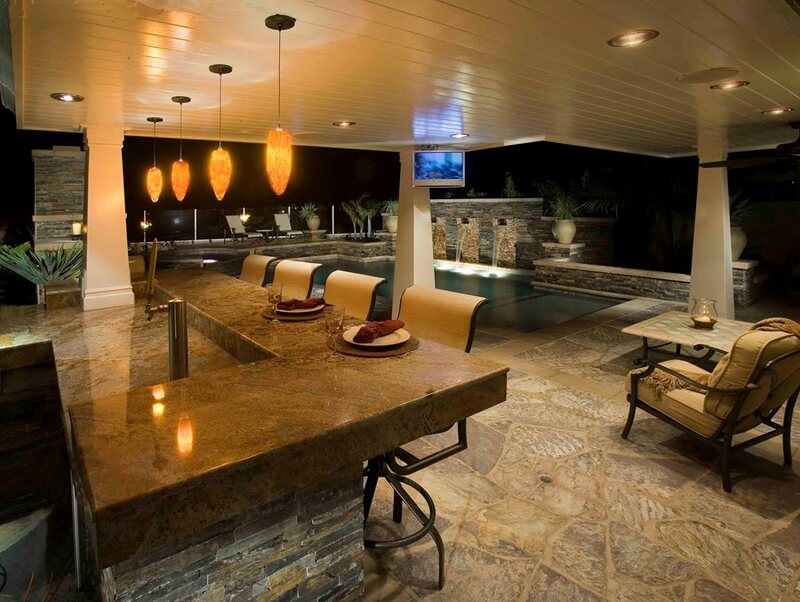 Four in-pool barstools allow people to swim right up to the edge of this cabana and enjoy a drink or snack. 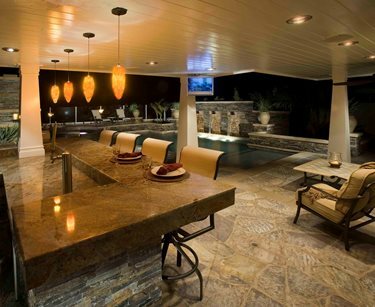 Designed to be used by day and night, lighting illuminates the space3 beneath and around the cabana. Special features include a grill, television and dining table. This view from inside a luxury backyard cabana shows the ultimate party spot. A split-level bar seats plenty of people and even has a built-in beer keg and tap. Imagine being able to serve pint after cold pint of your favorite local microbrew right in your own backyard. 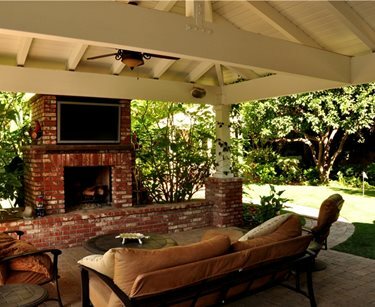 This cabana is centered on a large brick fireplace with an outdoor television mounted above the mantel. Plants on either side of the fireplace make the cabana feel private, while still letting light and air through. To the right of the cabana is a putting green in case anyone wants to practice their short game.